Three adults around nest box? General Discussion : Three adults around nest box? Several years ago I put a nest box in my yard, and never had any occupants until the last few days. There seems to be three adult kestrels hanging out near the box, two of which fly away when I approach and the third which screams at me and dive bombs me when I approach the box. Is it common to have three adults at one nest box? They definitely were not there last week. Is there a chance there are eggs in the box this late in the season? 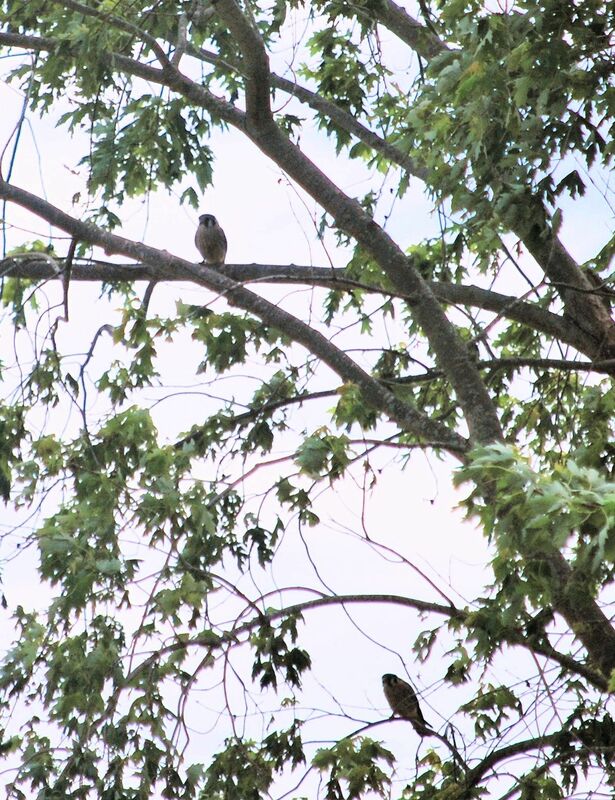 The attached photo shows two of the kestrels in a tree close to the nest box. Thank you. While it is quite late, the season isn't over yet. I recommend continuing to check back - who knows what will happen? Keep us in the loop! Posted in General Discussion by TheRichFish 1 year 10 months ago.